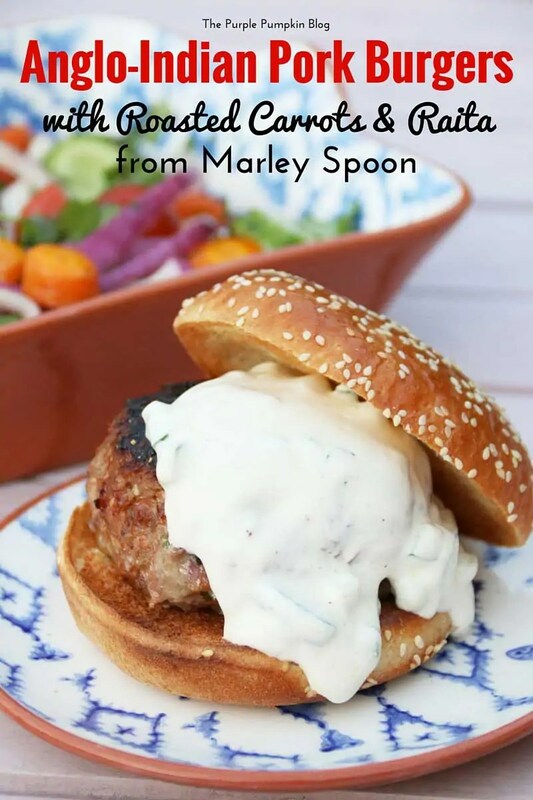 It’s been a long time since I’ve shared any recipes on my blog, but when Marley Spoon got in touch with me again about their BBQ recipes, which you will now have to get in super quick for, as these recipes are ending on 24th July!! 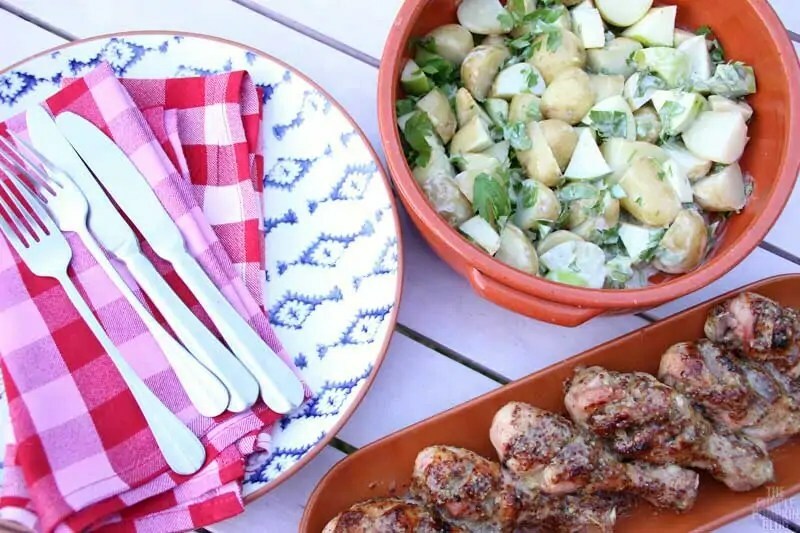 They’ve tapped their chefs from all corners of the globe for their BBQ favourites and top tips to make sure that even if a brolly is required, Marley Spoon delivers a little sunshine to your plate. I received my Marley Spoon box a couple of days ago, and with the glorious sunshine we’re having in the UK at the moment (long may it last!!) we had a couple of nights eating al fresco in the garden, which was so nice. Somehow, food tastes better outside on a balmy evening. In our experience, Marley Spoon recipes have always been full of flavour, and easy to follow. I personally love the way the ingredients are packaged. You are sent exactly what you need for each recipe – you add basics like salt, pepper, and oils from your own store cupboard – and each recipe comes in its own paper “grab bag” ready to pop straight into the fridge. The fresh, chilled items – meat, fish, dairy – arrive in a chilled bag, kept cold with environmentally friendly sheep’s wool, and chill packs. Putting the ingredients away takes mere moments. I love that Marley Spoon has the option of both couples, and family boxes to choose from. My son is nearly 18, so Steve and I often find it’s just the two of us these days, and the couples box is perfect for us. We don’t have to think about what to cook, or worry if we have all the ingredients, because they’re all ready and waiting for us to cook. And that’s what we did. It’s been so long since we prepared a meal together, and we worked well in tandem preparing the recipes! The recipes in our box were: Anglo Indian Pork Burgers with Roasted Carrots & Raita, and Honey & Mustard Chicken with Apple-Potato Salad & Warm Fennel. I really like that the recipe cards come with the weights and measures of each ingredient, so that you can cook them again if you want to. I know we certainly will – both of the dishes were delicious. The cards also tells you what store cupboard ingredients you will need to add, as well as a list of utensils. Also included is a list of allergens, and the nutrition per serving. If you get really stuck with a recipe, there is a hotline number you can call Tuesday to Saturday, 5-8pm, which I think is very handy. Below are some photographs of the prep work, and beneath that the recipe so that you can try this at home. And of course, another couple of shots of the Anglo-Indian Pork Burgers with Roasted Carrots & Raita. Steve and I enjoyed the burgers, sitting outside in the garden, with a nice cold drink. Something we’ve not done for such a long time! The spices in the garam masala came through just nicely in the burgers, full of flavour, but not overpowering. Quite often, I find pork mince to dry out when making into burgers, but these were so juicy. The roasted carrots in the salad were amazing! 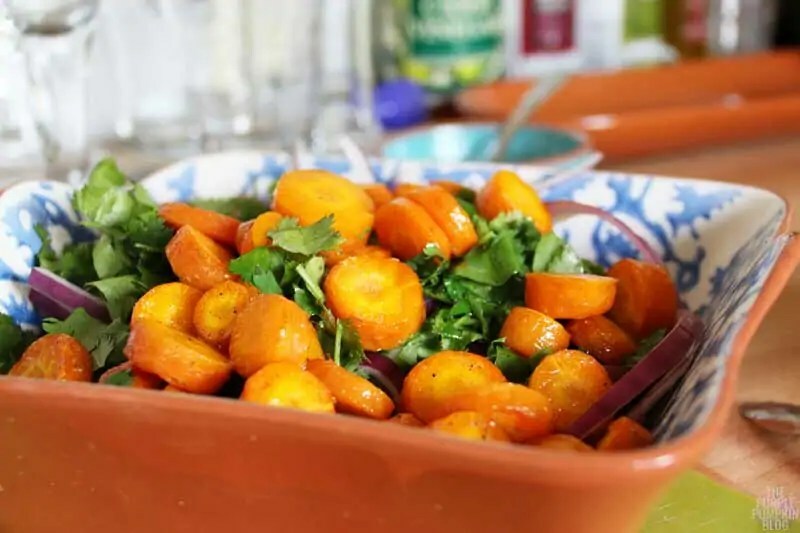 I’m not a fan of cooked carrots, but roasting them off first, and adding them to the other salad vegetables was such a good idea. I actually poured some of the salad dressing onto the carrots while they were still warm, so that they could absorb even more flavour. For both Steve and myself, this recipe was a real winner. You can check out the other Marley Spoon reviews and recipes on my blog here. Preheat your BBQ or oven to 240C/220C Fan/Gas 9. Place the carrot rounds onto a roasting tray. Drizzle with olive oil, season with salt and pepper and toss to coat in the oil. Roast in the oven for 15-20 minutes, until golden and cooked through. Transfer to a plate and leave to cool. To make the patties, add the pork mince, coriander stalks, finely chopped onion, garam masala and season with salt and pepper. Combine the mixture with your hands and shape into 2 patties, about 2.5cm thick. You can use a griddle pan or BBQ to cook the patties. If using a griddle pan, place on a medium-high heat until very hot. Cook for 3 minutes until charred. Turn the heat down (or move to a cooler part of the BBQ) flip over and cook for a further 6-8 minutes until cooked through. Halve the burger buns, and either toast under the grill, or on the BBQ. 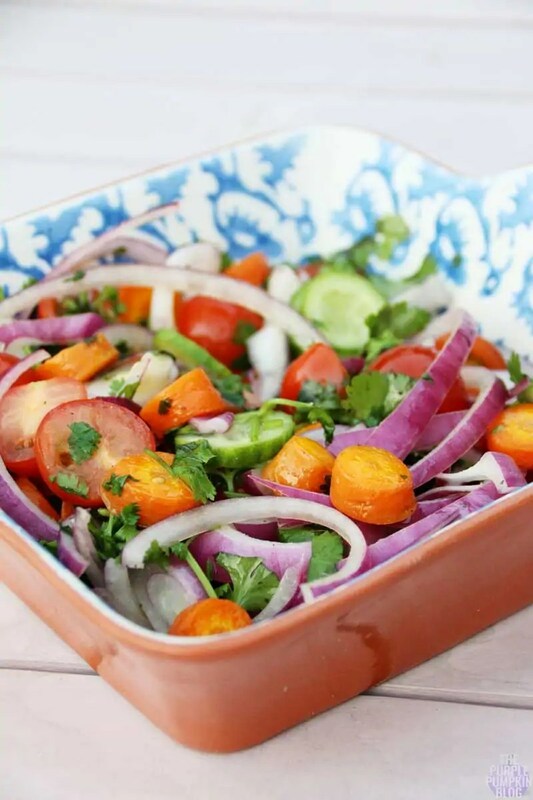 Make the salad by combining the cooled carrots, coriander leaves, tomatoes, cucumber rounds, slived onion, 1 tbsp of olive oil, and 2-3 tbsps of lime juice. Make the raita by spooning the yoghurt into a bowl, mix in 2 tsp of olive oil, and the finely chopped cucumber. Season both the salad and the raita with sald and pepper. 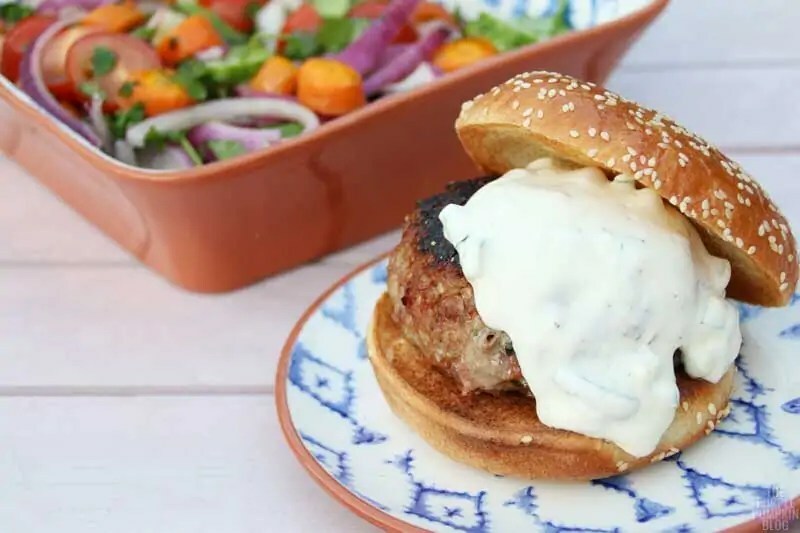 To serve, spread some raita onto the burger buns, and top with the pork patty. Serve the salad on the side.